Accolade’s FPGA based ANIC Adapters perform critical line-rate capture, preprocessing functions to optimize and harness the processing power available in high performance computing platforms. The proliferation of Cloud computing has also resulted in real-time, big data analytics by Super Computers featuring advanced application acceleration and host offload through high performance FPGAs. These cloud-based platforms offer virtually unlimited computing and processing power through scalability. The advent of new analytical techniques such as predictive analytics have also accelerated the adoption of HPC in the enterprise predominantly in applications involving data Flow analysis, Financial analytics and Cyber Security. 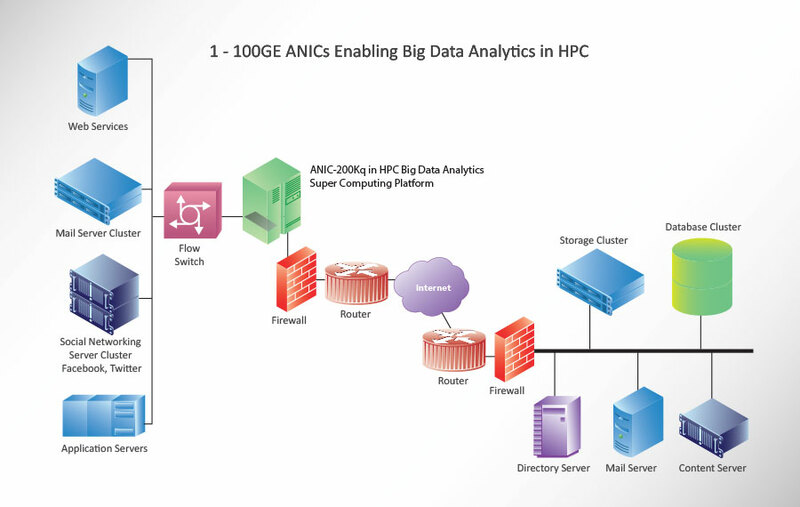 The application of predictive analytics in the detection and prevention of cyber financial crime is just one example among many of corporations benefitting enormously from leveraging ANIC FPGA based adapters in HPC applications.